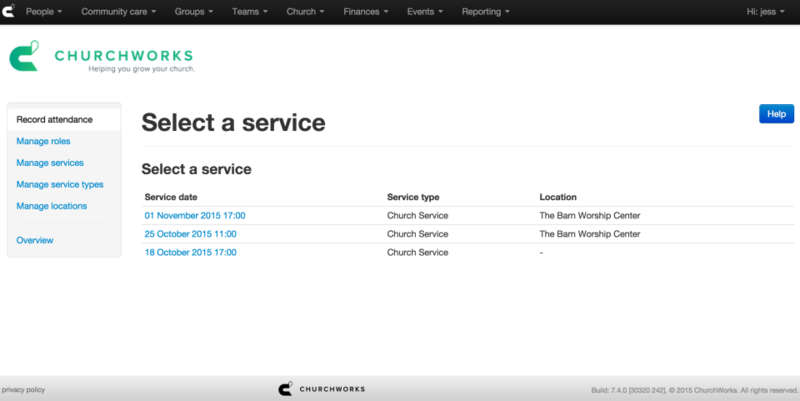 ChurchWorks is built for all Church sizes! A full-scale modular offering that will give Churches everything they need and allow them the options to scale as the church grows. We are FREE for Church Plants!!! 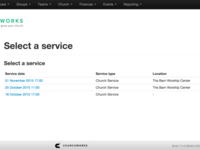 ChurchWorks is a web-based database solution designed for Churches of all sizes. More excitingly we are giving it away to ChurchPlants. 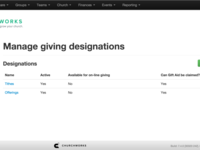 ChurchWorks puts all your names, contact details, and skill lists combined with tools for small groups, new Christian follow up, teams, online donation management and online event booking and payments at your fingertips. 100% online so there's no need to get help from your IT guy! Pros: Ease of configuration, online, friendly support, the best gift aid tool I've seen, Online giving is easy to implement, follow-up of new people is simple but effective and very cheap. Cons: I couldn't find any faults. Overall: Our church has had amazing growth and we needed an amazing tool to help keep a track of people. We go this and so much more. I have absolute confidence ChurchWorks can resource your staff and volunteers with tools to follow-up new people and allows you to have peace of mind that you can see what is happening at the touch of a button. Comments: As a national network of churches we have benefited from using ChurchWorks Management Software for over a decade. The ability to handle our events registration has been a real asset to our organisation and the pastoral care and small group management is a brilliant way for churches to stay on top of focused ministry in these areas. Check out ChurchWorks if you are serious about growth and health in your church. Thank you For your kind comments Carl! We are honoured to work with you! Comments: Having worked in church admin for almost 30 years, I'm excited to finally find a web-based tool that WORKS for me, streamlining process flows, simplifying Gift Aid, enhancing communication. ChurchWorks supports the vision of church leadership by INCREASING administrative EFFICIENCY - brilliant concept! Comments: I am a big fan of ChurchWorks. An amazing tool to capture data about the congregation. It is very user friendly, has a very useful and flexible search tool. I especially like the function to set up events/registration and the ability to take payments.